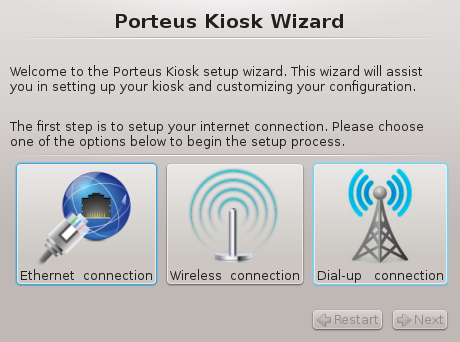 Porteus 'Kiosk Wizard' is a tool which lets you configure our operating system from the ground up - according to your needs and preferences. 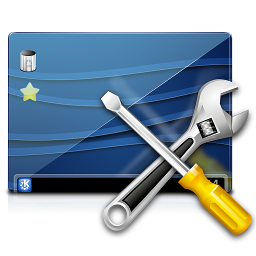 Sensitive data like root/vnc/wifi passwords, browser homepage, wallpaper URL, etc are not transported over the network and processed by our server anymore as all kiosk customizations are performed locally on your own PC. When the wizard is launched on a local PC, it is able to discover available hardware and use that information directly. This applies to network interfaces, screen resolution, monitor refresh rate and supported ACPI power states, etc. 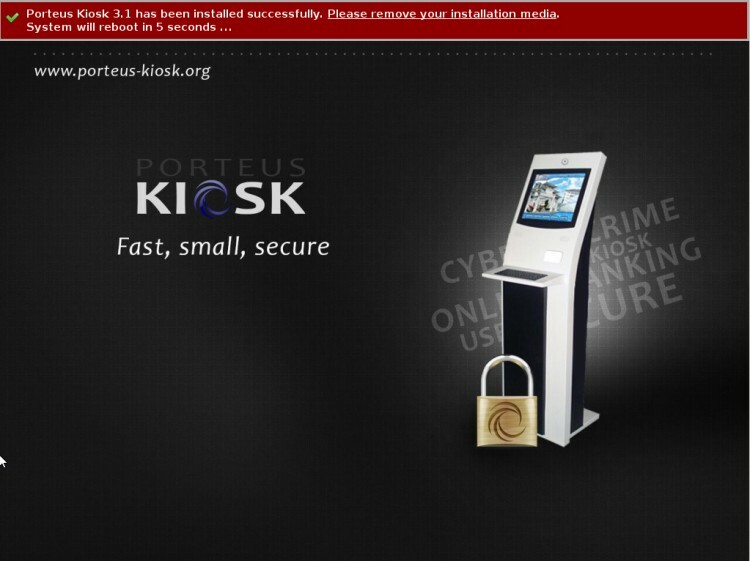 It should be easier now to configure kiosk correctly. The new wizard allows testing of important functions in real time so users can check them before creating the ISO. This applies to setting the homepage, desktop wallpaper, testing screen saver, trying different browser UI layouts, testing supported power states, etc. By implementing this feature we want to reduce the time spent on kiosk configuration and eliminate time wasted on creating/burning a new ISO in case of unwanted results. The wizard embeds an installer so it's possible to install the kiosk on a hard drive or usb stick directly after doing the configuration. 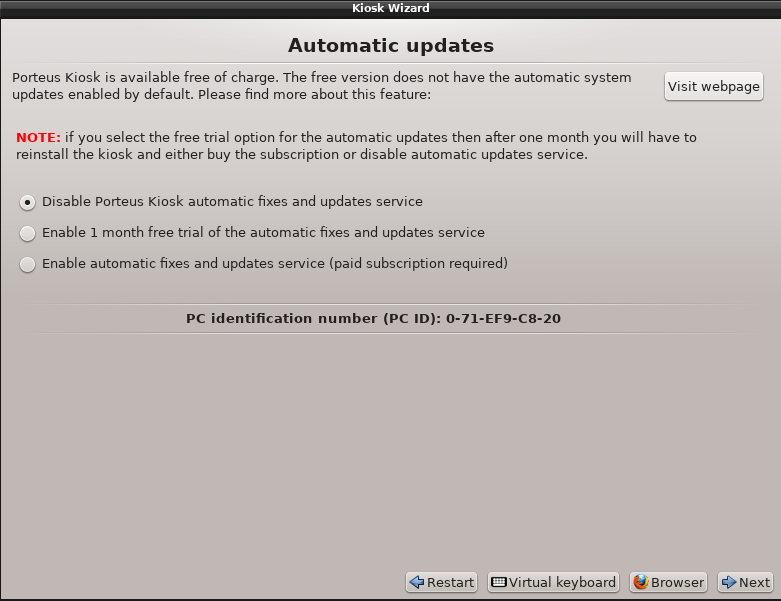 There is no need to download the kiosk ISO multiple times from our server if doing configuration changes. Simply run the same base kiosk ISO and the kiosk wizard will be launched to perform customization tasks. This should save bandwidth and time for users as well. Internet access is required as the wizard included in the ISO has crippled functionality and needs to download a full version from our server. This is to ensure that we can fix all reported bugs and implement new features in real time without releasing a new kiosk ISO. Some complicated features may require implementation of new functions in the core system - in such cases, a new kiosk version is released along with an updated wizard. 'Test' buttons allow you to check features in real time so please use them whenever possible. 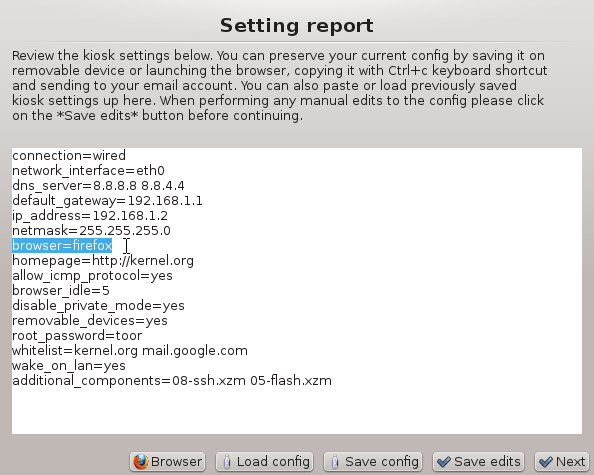 Right mouse click is disabled permanently in the kiosk but it is possible to launch a browser from the bottom of the wizard UI and copy data like e.g. homepage, list of IPs to be whitelisted, wallpaper URL directly to the input windows. Please navigate to the webpage of your choice, mark the text with a left mouse click to copy it to the buffer and paste it on the input field a middle mouse click. Please use Alt+Tab key combination to switch between the browser and wizard windows. After a reboot your customized kiosk will be ready to use.